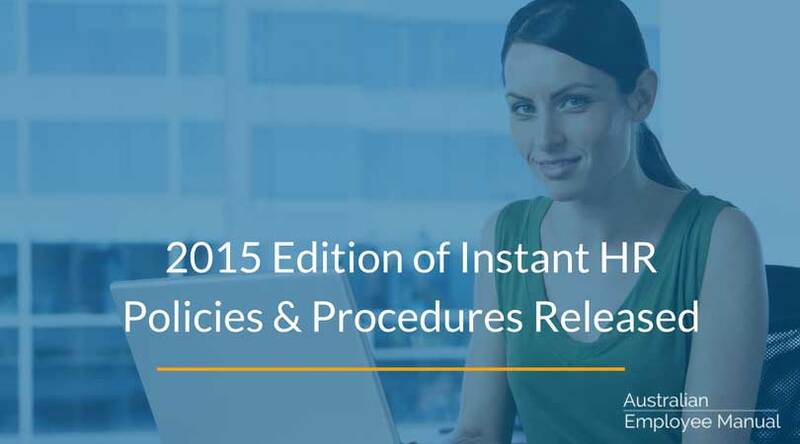 The 2015 Edition of Instant HR Policies and Procedures for Australian small to medium businesses has just been released. 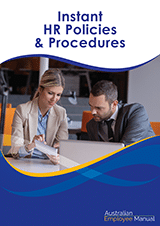 This year clients using our Australian HR Policies and Procedures Manual have been grappling with somewhat more challenging HR issues, and the updates reflect these challenges. This is the first year we have included a detailed Domestic and Family Violence Policy in recognition that domestic violence is often inextricably linked to the workplace. We have also included a policy for Transgender Team Members to assist support team members, remove discrimination and to respectfully manage their transition. Wearable devices have raised a whole new raft of HR challenges in relation to privacy, IT challenges, unauthorised surveillance and uniform requirements. On a lighter note, we have created an alternative policy for businesses who are more open to their team members having visible tattoos, piercings, brandings and dermal fillers, so all the coffee shop owners will be rejoicing about this new option. And finally, the office fridge and kitchen have sink finally made it to the big time, getting their own sections given these are some of the hottest areas of conflict within a work team. Is Direct Employment Under the NDIS Right For You? Who Develops the Employee Manual Products? Our chief author, Ingrid Moyle is a Senior Human Resource professional and HR Copywriter with over 25 years’ experience in drafting HR Policy Manuals. She has worked with businesses ranging from 1 employee to 7000 employees and knows what works and what doesn’t with managing your team. The Employee Manual is part of Heart Harmony Operations Pty Ltd.